Remote work’s demand is increasing astronomically. 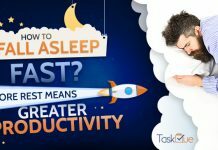 Believe it or not, majority of the employees want to have a sound sleep and work from the comfort of their homes rather than getting tired and losing precious time while commuting. According to a Gallup survey, 37% of the US labor force works remotely and this number is witnessing a steady rise. Yet there exist a lot of misconceptions and fallacies about the concept of working from home or remote workers. 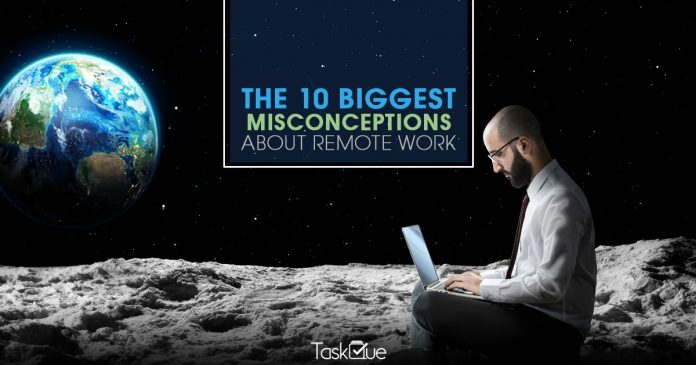 In this blog, I will list ten of the most common and biggest misunderstandings people have about employees working from remote location or from home. The number one reason is that remote workers are often perceived as lazy and chilling out at their home while everyone at the office physically works all the time. It’s easy to assume people working at home being more distracted from the work. But the stats from an eye-opening study conducted by Nicholas Bloom, Professor of Economics at Stanford University, reveal that some companies saw employee productivity increase by 13.5% after permitting remote work. Remote workers don’t face the common distractions office workers face like going to have a cup of coffee that takes half an hour or wasting time in sharing a piece of cake at a surprise birthday party of a colleague. So there are no proven stats that remote workers are the catalyst in decreased productivity level of a company. Just because remote workers are not in office doesn’t mean that they are having the time of their life a vacation or relaxing in a bar with friends. Because of an issue that can happen with anyone, people often perceive that are not reachable because of they might be working on something other than the task given to them. In a survey conducted by TINYpulse on the satisfaction and productivity of remote workers, a staggering 52% reported having contact with their manager at least once daily, with an additional 34%reporting once a week interaction with their immediate boss. That’s why it’s impossible for every remote worker to be chilling in a spa during the official work hours. This myth is also without any conclusive or physical evidence. Just because they are not using the VPN or the latest version of the Antivirus makes them vulnerable to data thefts is not a rational reason. The recent Ransomware “Wanna Cry” and other malicious softwares are able to bypass several layers of security or able to find a vulnerability in the operating systems. So it’s myth that a remote worker is more likely to suffer data theft than an employee working at the office. The quality of communication is often perceived to be downgraded when a remote worker is on board. Companies these days provide digital methods of socialization. Setting aside intentional blocks of time for casual “break room talk” via video calls, non-work related Slack channels (hanging out with kids and a sports event always hits the bull’s eye), and offsite meet ups are all ways that remote teams foster communication and feel connected. 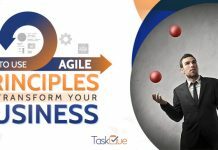 The use of a task management software like TaskQue suits this scenario perfectly especially for project managers and team leads. Meetings are actually more fruitful these days as Skype, Zoom and other softwares make it very easy and effective. Remote teams are more conscious of different time zones and geographical limitations and thus try their best to communicate well with their members and managers. In this way, they are able to make certain that through virtual meetings everything goes smooth and as planned earlier. The people working at home and at remote locations are often identified as lonely individuals. Sure they work at home but not all of them are lonely. A majority of them socialize after the working hours and are as funny and interesting to hang out with like any other person. Even if they work at a remote location far away from the hustle and bustle of the city life, there are now startups which are focused on bringing remote workers into unoccupied spaces like restaurants during work hours. Remote workers do not incur extra cost as compared to regular employees. This is another misconception because people think that sending employees at a remote location or work at home bear extra cost of the company in the shape of giving those employees extra benefits like travel allowance. Because of no setting up costs like office furniture and food/tea/coffee is needed, overhead costs actually decrease in this scenario. Often a negative impact on a company’s culture is perceived as a result of remote employees working for it. While employees interaction can’t be the same as office workers but it’s the way employees are treated and the value they are shown which makes a company’s culture stand out. While managers do need to make a conscious effort to show the importance they place on each team member if they’re not available for a daily chat or a short, casual meeting in the lobby, most of the times it’s not seen to ruin positive cultures. Often team members think that remote team members are available round the clock and that’s the reason why they try to contact them at any time of the day they want. While remote team workers do try to opt for a similar schedule that their team follows, there can be some difference and through proper and timely communication it can be notified. But don’t think of them as your 4 a.m. friend just because they work remotely or at their home. Remote workers or the ones at home do face distraction in the form of a guest or noise coming from outside their workplaces. Remote workers also have to work daily on the scheduled time and have to be online through any software or tool. They also find it hard like office workers to focus and remain productive while indulging in other activities like taking a lunch and also answering to the queries of their bosses online. People often try to take sides in advocating remote work or not based on their preference and not on facts and figures. That’s why in this blog, I have tried to include surveys and figures to give this blog an authentic look. One aspect that is great about working remotely that it offers employees the freedom to balance professional and personal life however it suits them best. And for employers, it gives them the opportunity to hire great people they can’t find locally. Remote working comes with many pros and cons just like working in an office environment. I have tried my best to list down the biggest misconceptions in this regard and reasons why people think in this way. But without your sincere analysis and feedback about this blog, I won’t be able to know whether I have achieved my objective or not. So please use the comments section below in this regard.